The Ford Model A of 1928–1931, was also called the “A-bone” among rodders and customizers. It was the second huge success for the Ford Motor Company, after its predecessor, the Model T. During the 1940’s and early 50’s, the Model “A”was a reliable, inexpensive car that proved to be ideal for customizing. With creativity and ingenuity, the Model A’s were often customized with the addition of new engines and custom parts that added style and performance to suit their owner’s tastes. 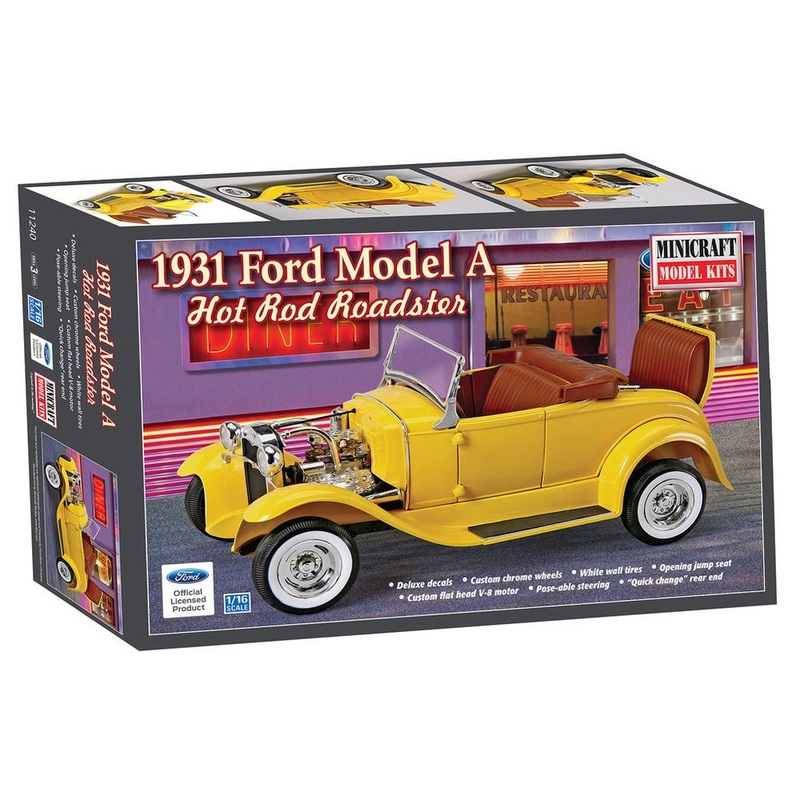 This new Hot Rod Roadster by Minicraft Model Kits captures the spirit of that era with custom wheels and tires, a flat-head V-8 engine and many custom chrome parts in impressive 1/16 scale! * Paint and glue sold separately.